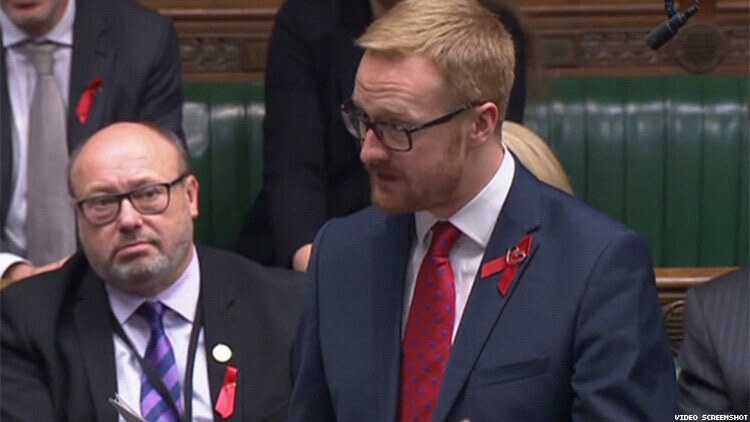 To mark the 30th anniversary of World AIDS Day and to help remove stigma around HIV and AIDS, British member of Parliament Lloyd Russell-Moyle revealed his HIV-positive status while speaking to the House of Commons, prompting members to stand and clap following his speech, according to The Guardian. “It has been a long journey, from the fear of acceptance and today, hopefully, advocacy, knowing that my treatment keeps me healthy and protects any partner that I may have,” he added. Later in his speech, in which he discussed cuts to HIV and AIDS funding that have come at a crucial time when there have been giant strides made in managing and eradicating it, he spoke of stigma.